Great Lakes Indian Fish & Wildlife Commission - committed to the implementation of off-reservation treaty rights on behalf of its tribes. Indigenous Food & Agricultural Initiative – working to enhance health and wellness in tribal communities by advancing healthy food systems, indigenous food policy and code, training and safety, diversified economic development and cultural food traditions in Indian Country. Intertribal Agriculture Council - offers a wide range of programs designed to further the goal of improving Indian Agriculture by promoting the Indian use of Indian resources. Traditional Native American Farmers Association (TNAFA) - TNAFA was formed in 1992, and offers an intensive two-week Indigenous Sustainable Food Systems Design Course focused on ecological design, natural farming and earth restoration, natural healing both human and Mother Earth. These strategies and objectives compliment the Permaculture methodology, which is: the conscious, holistic design and maintenance of biologically productive ecosystems that have the diversity, stability, balance and resilience of natural ecosystems. First People's Fund- We strive to provide support and voice to creative Indigenous artists who share their inspiration, wisdom, knowledge and gifts with their communities. First Peoples Fund's grant-making initiatives include the annual Jennifer Easton Community Spirit Awards, Artists in Business Leadership, Cultural Capital Fellowship, Our Nation's Spaces, and Native Artist Economic Building Grants. Investing in the Indigenous Arts Ecology (PDF) - 2018 report published by First People’s Fund. Indian Arts and Crafts Association - membership organization supporting the effective protection, ethical promotion of authentic Native American art. Wordcraft Circle for Native Writers and Storytellers - membership organization dedicated to the voices of Native writers and storytellers -- past, present, and future -- are heard throughout the world. The Ultimate Online Privacy Guide - A guide to practicing good cyber security and online privacy. Association of Women Contractors - membership organization committed to assisting women owned companies in the construction industry to become an active voice in the business community. Minneapolis Builders Exchange - member-oriented association dedicated to assisting construction industry businesses throughout the Upper Midwest Region. Native American Contractors Association – membership organization serving Tribal and privately owned Native American contracting/construction businesses interested in government contracting. Indian Law Resource Center - non-proﬁt law and advocacy organization established and directed by American Indians. They offer subscriptions to Indigenous Notes and an e-newsletter. 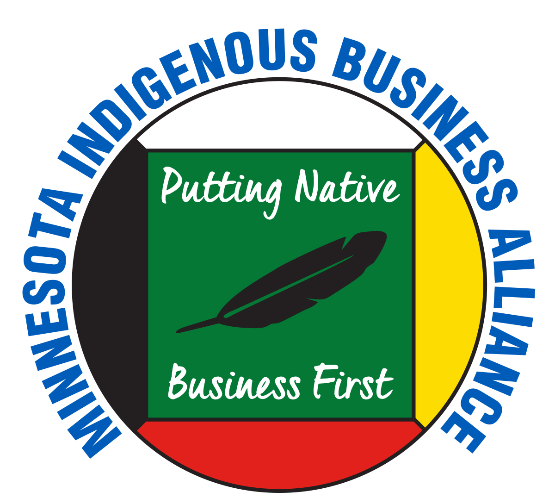 Minnesota American Indian Bar Association - membership organization offering mentoring, professional support, networking, scholarships, and education about Indian law issues. Minnesota Women Lawyers - membership association that offers professional and leadership development, provides advocacy and supports social action initiatives to end discrimination in the justice system and promote equality of women in society. Tribal Court Clearing House – resource for tribal nations and people, tribal justice systems, victims’ services providers, tribal service providers, and others involved in the improvement of justice in Indian country. American Indian Alaska Native Tourism Association – membership organization focused on education, development, and expansion of American Indian and Alaska Native tourism. American Indian Science & Engineering Society – membership organization dedicated to American Indian and Alaska Natives in engineering, science and other related technology fields. Association of American Indian Physicians - membership organization dedicated to excellence in Native American healthcare by promoting education in the medical disciplines and honoring traditional healing principles. Institute for Tribal Environmental Professionals - membership organization supporting the environmental protection of Native American natural resources. NANAINA - membership organization promoting leadership and professional advancement of Alaska Native and American Indian nurses. Native American Finance Officers Association – membership organization of tribal finance officers, controllers, treasurers, accountants, auditors, financial advisors, tribal leaders, and more. National American Indian Court Judges Association - membership organization supporting American Indian and Alaska Native justice systems through education, information sharing and advocacy. National Center for American Indian Enterprise Development - dedicated to developing American Indian economic self-sufficiency through business ownership. National Congress of American Indians - serves to secure the rights and benefits of American Indian people; to educate the public; to preserve rights under Indian treaties or agreements with the US; and to promote the common welfare of the American Indians and Alaska Natives. National Indian Education Association - membership organization committed to increasing educational opportunities and resources for American Indian, Alaska Native, and Native Hawaiian students while protecting cultural and linguistic traditions. National Indian Gaming Association – membership organization of 184 Indian Nations and other non-voting associate members representing organizations, tribes and businesses engaged in tribal gaming enterprises from around the country. National Native American Bar Association - national membership association for Native American attorneys, judges, law professors and law students. SACNAS - membership society dedicated to fostering the success of Hispanic/Chicano and Native American scientists—from college students to professionals—to attain advanced degrees, careers, and positions of leadership. Society of American Indian Dentists– membership society promoting dental health, careers in dentistry, role-model leadership, and unique concerns of American Indian Dentists. Native American Intellectual Property Council - The Native American Intellectual Property Enterprise Council (NAIPEC) supports invention and innovation in the Native American community by providing quantitative patenting, copyright, and trademark assistance. American Indian Report - premier provider of culturally relevant education and information services for North American Indian tribes and organizations. Indian Country Today - a weekly newspaper distributed nationally and available in hardcopy by mail and at select newsstands. Online versions available by subscription. Indianz.com - a daily internet resource of reliable, concise, and relevant information and content affecting tribes and Native Americans. The Circle – News from a Native American perspective– monthly news journal offering free journals in Minnesota, mail subscriptions and online news. Tribal College Journal –culture-based subscription publication addressing subjects important to the future of American Indian and Alaska Native communities. The Ultimate List of Scholarships for Women & Girls- College can be expensive. That’s why scholarships for women are so valuable. First, they help lower the cost of going to school, which is worthwhile in itself. Second, they are only open to female students, making them potentially less competitive. The Women’s Business Enterprise National Council– dedicated to advancing the success of certified women’s business enterprises. Women Empowering Women for Indian Nations- provide native women with the knowledge, support, and resources necessary to achieve success in their personal and professional lives. Scholarships For Women- A list of scholarships for Native American Women. College Green Light- College Green Lights connects first generation and underrepresented students to caring colleges, generous scholarships, and life-changing counselors and mentors. American Indian Business Leaders - supports and promotes the education and development of future American Indian business leaders. UNITY - fosters the spiritual, mental, physical, and social development of American Indian and Alaska Native youth and to help build a strong, unified, and self-reliant Native America through greater youth involvement. American Indian Graduate Center - largest national provider of scholarships for American Indian and Alaska Native students. 2018-2019 Edition - Paying for College (PDF) - provided by Congresswoman Lucille Roybal-Allard’s District Office, California. This directory is updated once a year. National Native American Law Students Association – membership organization focused on Federal Indian Law, Tribal Law and traditional forms of governance, and supporting Native American students in law school. Doctoral Program Resources for Minority Students - Teach.com's on-line guide to doctoral program resources for minority students.